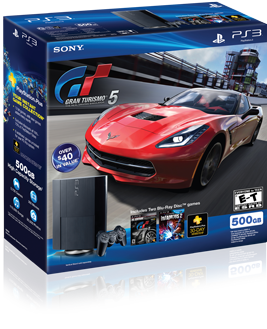 Command a fleet of 1000 super-cars or explore the worlds of good and evil in two amazing installments of the highest rated franchises in PlayStation® history with the PlayStation®3 Legacy bundle featuring Gran Turismo® 5 XL, inFAMOUS™ 2, and a black PlayStation®3 with a massive 500GB hard drive. 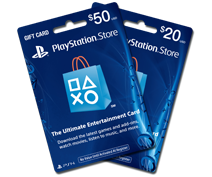 This Limited Edition PlayStation®3 Legacy Bundle includes two of the highest rate franchises in PlayStation® history- Gran Turismo® 5 XL and inFAMOUS™ 2. 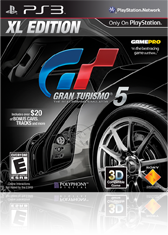 The ultimate version of the best-selling Gran Turismo® 5, with the full original version of the game, improved features and functionality from all downloadable game updates through Spec 2.0 included on the disc, as well as a voucher for more than $20 of bonus downloadable content including new cars and tracks. 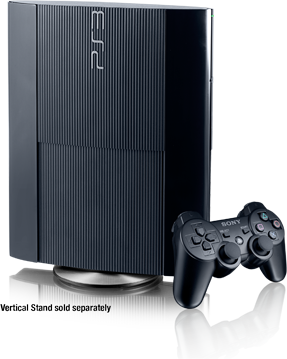 Save Humanity... Or Destroy It All? 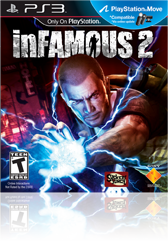 inFAMOUS™ 2 is the second chapter in the bestselling franchise for the PS3™ system. This immersive open world action adventure offers a realistic take on being a super hero. Blamed for the destruction of Empire City and haunted by the ghosts of his past, Cole must make a dramatic journey to discover his full super-powered potential - and face the final confrontation with a dark and terrifying enemy from his own future.